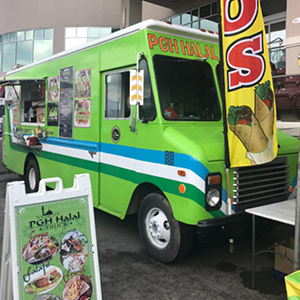 On Sunday, November 18, Shadyside Presbyterian Church will host Pittsburgh Halal Truck in the circular driveway to enhance our Time of Fellowship following worship. Chef Steven Bright’s wonderful cookies and coffee will be available in the Parish Hall, and, weather-permitting, the McClintock Lawn will be open for children to play outside. Whether you want to connect with others indoors or mingle outside, we hope you will plan to stay after worship.